This article was originally published on the Richen Terdzo blog. It has been newly edited and reprinted on the Shambhala Times with the permission of the author. Terma texts contain Buddhist teachings intended for troubled times as a source of renewed wisdom and blessings. Although there are antecedents in Indian Buddhism–most famously Nagarjuna’s discovery of the Prajnaparamita literature–terma is primarily a Tibetan phenomena. The Tibetan word, terma, literally means “treasure” and refers to Buddhist (or Bon) scriptures and relics retrieved from the distant past through a process of revelation. 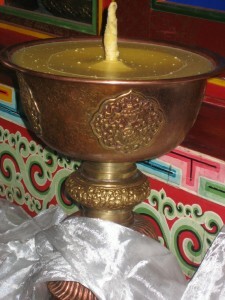 There are two principal types of treasures: earth terma, discovered in the Tibetan and Himalayan landscape, and mind terma, discovered in the mind of the terton or “treasure revealer.” The latter should be distinguished with pure visions, or daknang, which appear in the mind of realized masters, but do not necessarily claim ancient origins. Though its source is located in the distant past, a terma is intended for the time and place of its discovery. As Buddhist teachings, terma are most frequently traced to the eighth-century tantric master Padmasambhava, also known as Guru Rinpoche (literally “precious teacher”). 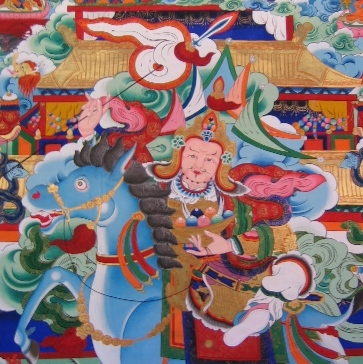 According to treasure lore, during each of the tantric initiations he conducted, Padmasambhava appointed one of his disciples to reveal the associated set of teachings in a future lifetime. Afterwards, his principal disciple and consort, Yeshe Tsogyal, transcribed and hid these teachings throughout the Tibetan and Himalayan landscape. There has been a thriving terma tradition since the eleventh century and, more recently, terma has been particularly vibrant in eastern Tibet. Terma played an important role in the rimay or nonsectarian movement in the nineteenth century, and they were collected into the Rinchen Terdzo at that time. The revelations of terma has also played a vital role in the Buddhist revival in Tibetan areas currently under Chinese rule. The late terton Khenpo Jigme Phuntsok, visited the Great Stupa of Dharmakaya in 1993, was a major force in the revival; among his many contributions, he built a Buddhist academy in Serta that currently houses 4,000 monks and 4,000 nuns and located the original site where the palace of King Gesar once stood. Generally, tertons, or “treasure revealers,” trace their past lives to the time of Padmasambhava as one of his direct disciples. In eastern Tibet, tertons also trace their past lives to the court of the legendary warrior-king Gesar. While most tertons belong to the Nyingma tradition, there are tertons from every school of Tibetan Buddhism as well as within Bon, a religion indigenous to Tibet. Famous tertons outside the Nyingma tradition include the Fifth Dalai Lama and the Third Karmapa Rangjung Dorje. There are also well-known female tertons, such as Jomo Memo (thirteenth century) and Sera Khandro (nineteenth century), and lesser-known contemporary female tertons from eastern Tibet, such as Kacho Wangmo and Khandro Tare Lhamo. What is the revelation process? When a terma is first discovered, it typically appears in symbolic form as a seed syllable or single line of dakini script. This could appear in physical form on a rock or scroll, or alternatively in the mind of the terton. The terton must then decode this symbol form, which acts as a mnemonic device to awaken the memory of a transmission given in the distant past by Padmasambhava (or comparable figure). Once decoded, the terma is set down as a “root text” and only later expanded into a full terma cycle. The process of expanding the root text into a terma cycle may be done by the terton himself, his successor (in the Nyingma lineage this is usually a family member), or subsequent reincarnation. Commonly, in its fullest expression, a terma cycle includes a ngondro, abhisheka, sadhana and subsidiary rites–all derived from the original root text. Within the Nyingma tradition, terma, or revealed teachings, are contrasted with kama, or received teachings. In Tibetan, the term “ka” literally means “command.” Generally, it refers to the words of the Buddha (Sanskrit: buddhavacana)–as in the Kangyur, the canon of translated scriptures from Sanskrit. It can also refer to the Buddhist teachings more generally as in the term, kasung, or literally “protector of the teachings.” Within the Nyingma school, kama refers to the teachings transmitted from master to disciple in a long lineage of transmission. By contrast, terma provides a more direct transmission. In terma, there is a short line of transmissions between the terton and the ultimate source of a terma, traced to a primordial buddha. Three of these transmissions are common to the Nyingma lineage, and three are particular to terma. The three lineages of transmission common to the Nyingma lineage mark the transmission of a set of teaching from the abstract dimension of a primordial buddha to eighth-century figures in India, such as Garab Dorje, Vimalamitra, and Padmasambhava. The first transmission is the mind lineage of the victorious ones, which represents the mind-to-mind transmission between a dharmakaya being, such as Samantabhadra, and a sambhogakaya being such as Vajrasattva. The second transmission is the sign lineage of the vidyadharas, which is a transmission through symbolic means between a sambhogakaya being and nirmanakaya master. And the third transmission is the hearing lineage of ordinary individuals, which is the verbal transmission of teachings from master to disciple on the human plane. 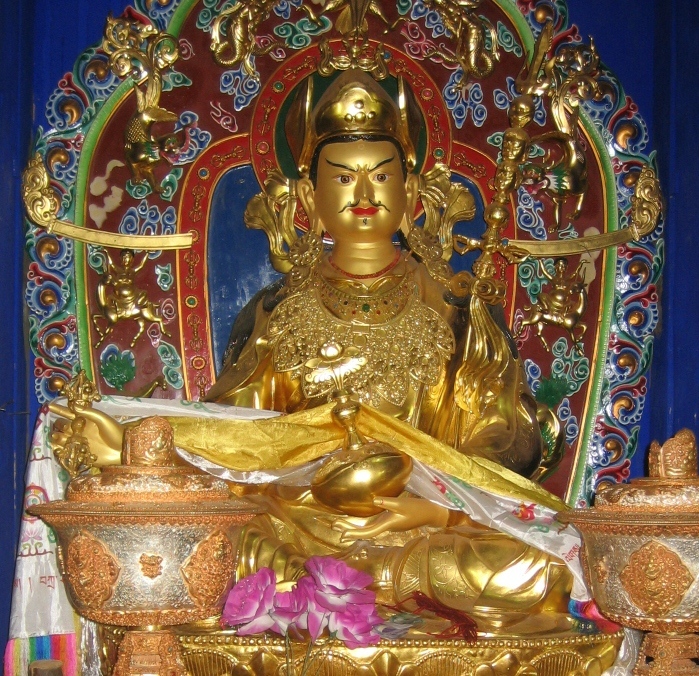 The process of transmission, particular to terma, also includes three phases: the prophetic authorization in which Padmasambhava appoints one of his disciples to reveal a set of teachings in the future, the mind mandate transmission in which he seals the teachings in the mindstream of that disciple, and the entrustment to the dakinis, in which female deities are appointed to protect the teaching until the appropriate time for its revelation. In this way, terma are fresh teachings, conveyed through a short transmission and imbued with tremendous wisdom and blessings. It is said that the closer one is to the original source of a teaching, the more potency it holds. For an in-depth survey of terma, consult Hidden Teachings of Tibet: An Explanation of the Terma Tradition of Tibetan Buddhism by Tulku Thondup Rinpoche (Wisdom Publications, 1986). Holly Gayley received her M.A. in Buddhist Studies from Naropa University in 2000 and Ph.D. in Tibetan and Himalayan Studies from Harvard University in 2009. She has done extensive research on the literary and material aspects of terma, culminating in her dissertation on the life and letters of a contemporary terton couple in Golok, Khandro Tare Lhamo and Namtrul Jigme Phuntsok.